A GREAT Property at a GREAT price! 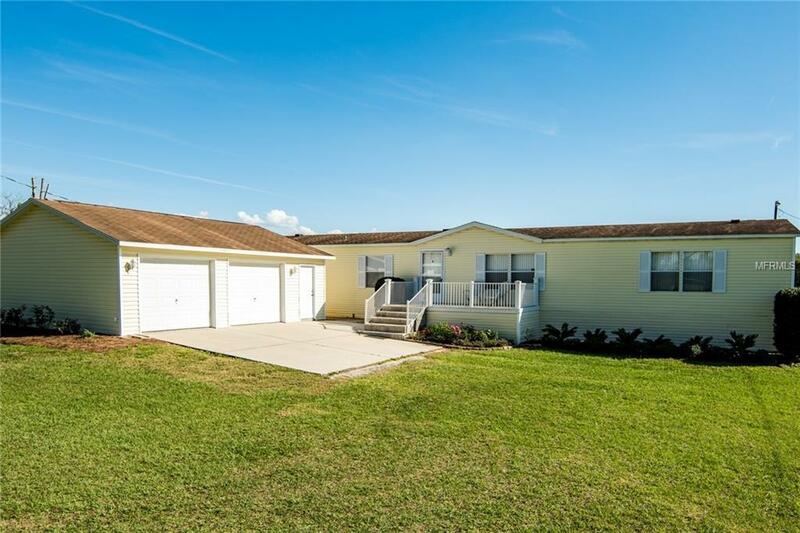 Come see the most beautiful 8.7 acres you will find in Florida and make an offer. 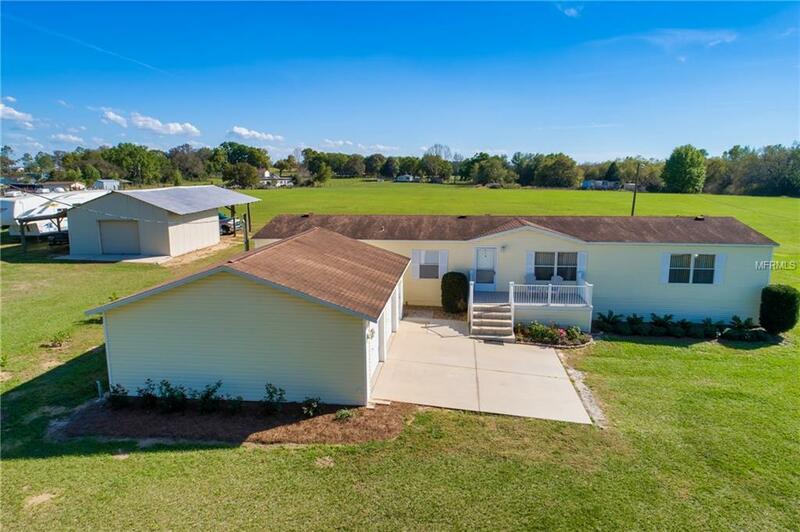 Only 20 minutes to I-75 GREENBELT, LOW TAXES and NO HOA! 8 acres maintained by hay producer who will PAY YOU, the OWNER! LESS THAN ONE ACRE REQUIRES MAINTENANCE! 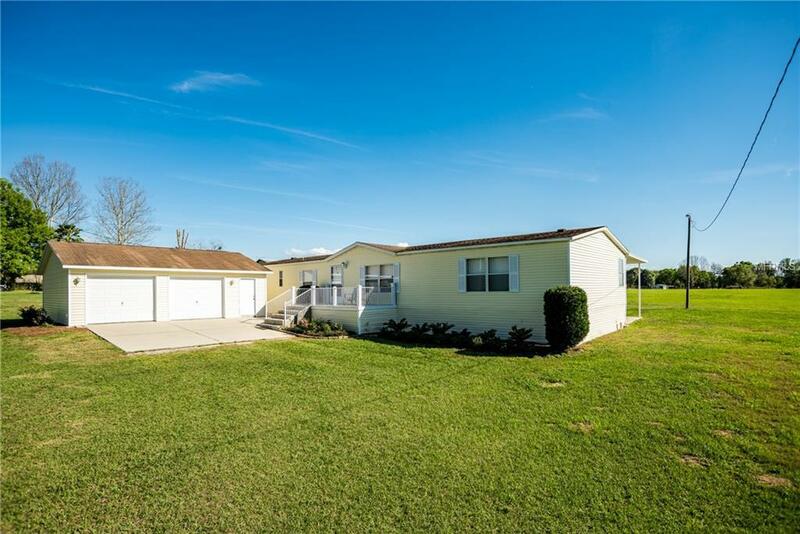 This immaculately maintained manufactured home sits on 8.70 acres of fenced land that is high and dry and clear! You will love morning coffee and sunsets from the enclosed screened porch. 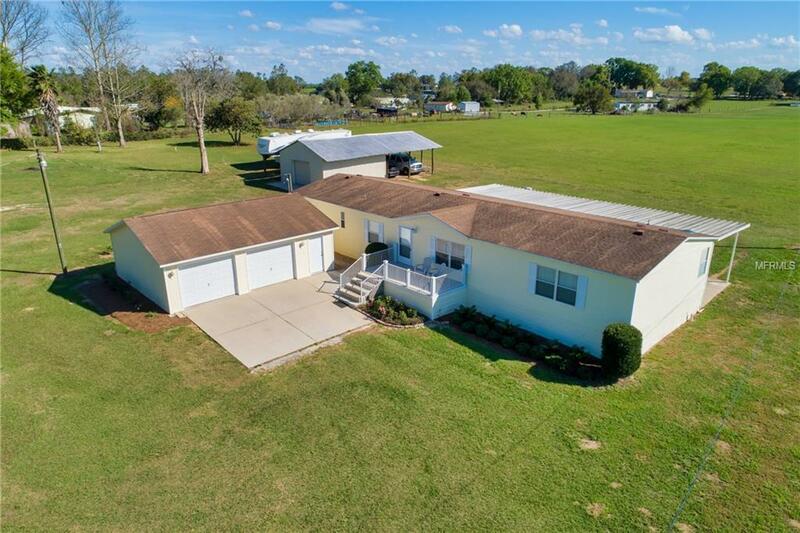 In addition, the home features a double car garage, electric gated entry, and a completely separate and enclosed 25 x 25 workshop/barn with 220V outlet, for home projects or even a small business. Outside of the workshop is framed to easily add horse stalls. The property has an additional utility hookup and septic allowing for a SECOND HOME on the property. This is a unique property well cared for by current owners. Come and look & make it your own. Park your RV - plenty of space for all of your toys!